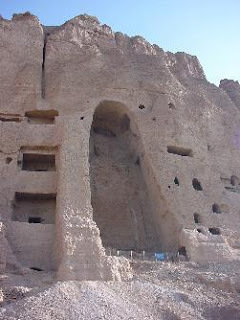 The two colossal statues of Buddha carved into the sandstone cliffs of Bamiyan, Afghanistan, were demolished by the Taleban on March 2001. The Taleban people were a fundamentalist Islamic militia that has governed most of Aghanistan from 1996 to December 2001. 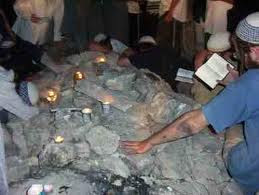 Against international protests and appeals, the supreme Taleban leader Mullah Mohammed Omar ordered their destruction as part of a campaign to rid the land of all un-Islamic graven images. 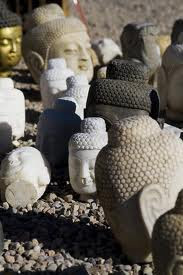 The leader issued an edict declaring the statues (and therefore the ancient Buddhas) as insulting to Islam. This means that all idolatrous images of humans and animals and all those idols considered by them to be an insult to Islam had to be destroyed. 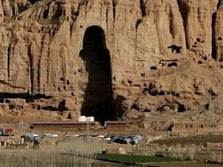 Taleban leader rejected also a proposal to build a concrete wall in front of the two Buddhas statues instead of their destruction. 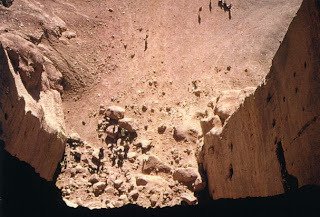 By March 12, 2001, these giant Buddhas have been destroyed by the use of mortars, dynamite, tanks, anti-aircraft weapons and rockets. Now they are nothing but piles of sandstone rubble and clay plaster. 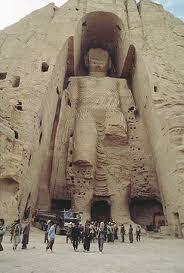 The Taleban destroyed also other buddhist images in Afghanistan, such as ancient statues and relief carvings. 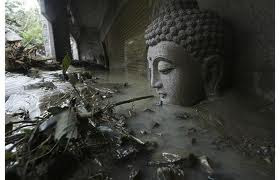 The Buddhist, the world community and UNESCO, failed to convince the Talebans to leave such artifacts and everybody expressed horror at the Buddhas' destruction. The ancient statues were between the tallest standing Buddhas in the world. They had survived the ravages of Genghis Khan, centuries of invasions and wars and the natural wear of the elements. Why did the Taleban destroy the Buddhas? Taleban have been considered the descendent of all the other barbarians who destroyed what their ideologies could not accept: the Vandals and Huns stealing of the Roman Empire; Stalin's destruction of churches; Mao's Cultural Revolution; Pol Pot's razing of schools and cities; Hitler's book burnings and desecration of synagogues. "the Buddhas violate the Islamic prohibition against sacred images and that they are false idols that must be destroyed.... The statues should be destroyed so that they are not worshipped now or in the future ...". But the reasons of the action are politics and also religious. 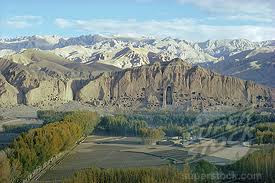 The city of Bamiyan was a base of the Taleban's opposition - Northern Alliance's "rebel" forces. 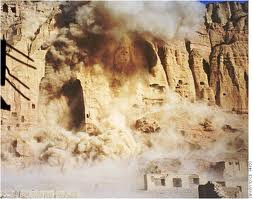 The Taleban took control of Bamiyan in 1998 and, to humiliate the locals, they tried to destroy their heritage. 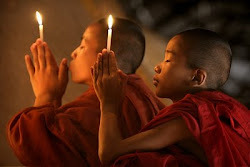 Buddhism is an easy target for fundamentalist Muslims. 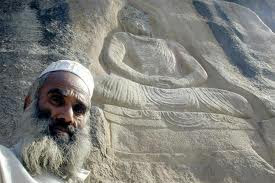 Buddhists are considered as 'idol-worshipers,' which had unfortunate associations with the portrayal of the Prophet's Meccan enemies in the Quran. 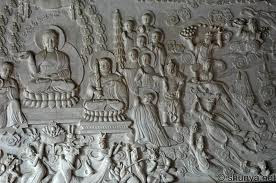 Anyway, today everybody recognize that the massacre of the Buddhas has little to do with religion. 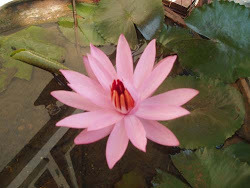 The Buddha is not God or even one among many gods. 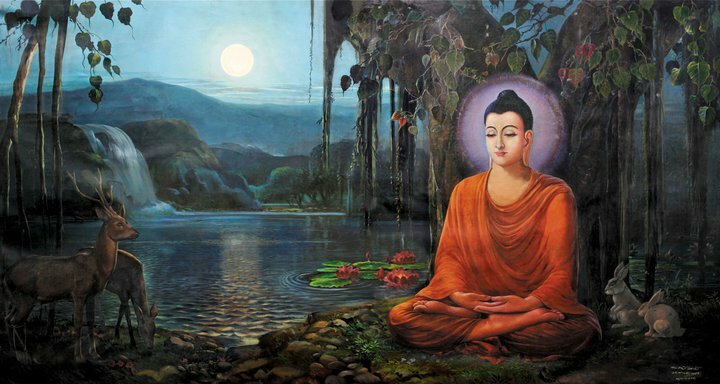 Images of the Buddha did not appear for at least 400 years after his death and even then were created only to remind followers of their own innate "Buddha Nature." The Director General of UNESCO called the demolition of the over 2,000-year-old figures "a crime against culture". "It is abominable to witness the cold and calculated destruction of cultural properties which were the heritage of the Afghan people, and, indeed, of the whole humanity. This loss is irreversible." Now the old statues are nothing but piles of sandstone rubble and clay plaster. II century A.D. 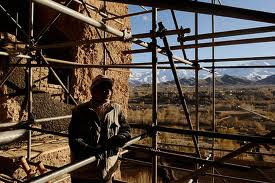 Under the patronage of Emperor Kanishka starts the construction of the two statues in Bamiyan.